The Economics Anti-Textbook: Why doesn't Forbes publish the real list of the world's richest people? Why doesn't Forbes publish the real list of the world's richest people? 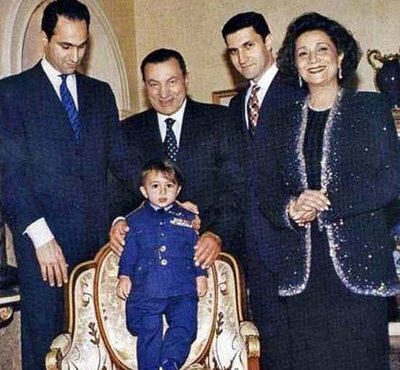 A report in The Guardian yesterday entitled "Mubarak family fortune could reach $70 bn, say experts" should not have been surprising -- after all, decades spent looting a big country like Egypt could plausibly produce sums like the $40-70bn mentioned in the article. Apparently dictators in the nearby Gulf states have amassed similar sums for themselves and their families while 'serving' as heads of state. Still, I did experience some surprise as I saw the astronomical figure in print. If true, it would make Mubarak and his two sons likely richer than Carlos Slim Helu, officially crowned last year as the "World's Richest Man" by Forbes Magazine with about $54 bn. Absent from the phony Forbes list are the names of the looting 'kings', 'princes', 'sultans' and other dictators (and ex-dictators) with their billions. Once, I vaguely remember, the Forbes list at least contained a footnote mentioning that heads of state and suchlike were omitted, but I can't even find that fine print now. (Here is a brief statement of their 'methodology'.) The only exception I can see is Prince Alwaleed Bin Talal Al Saud, of Saudi Arabia, nephew of the current king, whose billions are laughably described as "self-made". The reason for the self-censored list is obvious. It's not just that the amount they've stolen or otherwise acquired through their kleptocratic rule is hard to estimate with any precision. Putting a crowd of these unsavory types at the head of the list and sprinkling them down through it would seriously undermine the cult of Wealth Worship that is supported by the Forbes list and the echo chamber that surrounds it. Worse still, it might prompt questions about the role of American, British, Swiss and other banks in the thievery and corporate corruption that feeds these fortunes as well as the policies of 'Western' governments that (at best) turn a blind eye to it all, and, at worst, connive in it. That wouldn't do at all. When Mubarak finally was shown the door I saw a report in The Telegraph in which anonymous "Western intelligence sources" were quoted as claiming that he used his final days in office to "place his assets beyond the reach of potential investigators". "If he had real money in Zurich, it may be gone by now", says their source. When the Swiss government moved to freeze his assets, it was merely closing the barn door after the horse had departed, as they surely knew. Now they've just done the same for Gaddafi's funds. It's clear that governments turn a blind eye when it suits them (that is, most of the time). But reports like this in The Telegraph also suggest that governments also know fairly well what's going on in the supposedly secret world of banking services being supplied to looters like the Mubaraks. Great post. I just checked out your blog for the first time this weekend. There are also lists of incomes, including celebrity incomes, again by Forbes if memory serves me right. Have you ever looked into them? My impression is that the celebrity incomes are inflated. They are, particularly in the case of those in music, like gross sales. If this is the case, the lists confuse the issue of who the really rich are. Indeed, Brian. I recently saw a figure of $100m/year for Celine Dion, but it seems likely that that's total sales, not income, to judge by this piece published by Forbes which states that her Vega salary was about $45m., so that's probably a better estimate of income. In 2007 they claimed her net worth was about $250 million. But their 'methodology' here also seems to suggest that they just add in record sales, but surely they estimate her share of those!? Of course our govt knows who's money is where. Remember several years back when the US threatened to black ball any bank (no matter where it was incorporated) who transferred any money on behalf of North Korea or it's leaders. The mere threat of being blocked from the US banking network was enough to leave the Kim regime so strapped for cash that they panicked when a bank in Macao refused to let them access a few hundred million dollars. The US govt (via the Fed and other banking regulators) can stop the flow of anybody's money at any time. They use the power selectively because using it too often would require that they make good on their threats -- which is often inconvenient. If I was really rich (>$100B), my assets would be almost untraceable and you wouldn't know my name or even that I was rich. And I'd be working hard to be even richer, because I know how I would spend 50T. If there are more like me than just me, and some of them have succeeded, then assuredly that list must be full of crap. Abu Dhabi (most of the UAE) Oil production is worth $230M a day at the old numbers, so $84B a year. Assuming they did not invest a dirham outside of AIDA and that AIDA has been flatlining, that's $3.2T in cash over fourty years, and $880B in AIDA. If you consider very safe investments (5% net of inflation on average), it's more than $10T. The emirates do share the wealth with their natives, but with their very low population, it's not that big of an expense. It's thus very unlikely that the Sheikh Khalifa / family 's assets be under $1T, and from the culture, I would wager that a small number of people can decide to allocate all of that wealth. And that's just one Oil Country. And Western Countries have other resources to abuse, like a few hundred million highly qualified slaves. And the US has oil as well, some of which is in Iraq or other countries. To me it's certain that there are about a hundred people out there with >$1T in assets, out of sight of the common fool who thinks $1M is a lot of money.